This convenient, folding Shopping Cart features a sturdy aluminum frame and the 2 wheels, special support systems and extra pockets. Stylish, durable and convenient. Opens easily and folds close for compact storage. The foam padded handle reduces stress on the joints when pulling, while allowing for a comfortable grip.The lightweight aluminum frame is easy to carry and for easy transport. 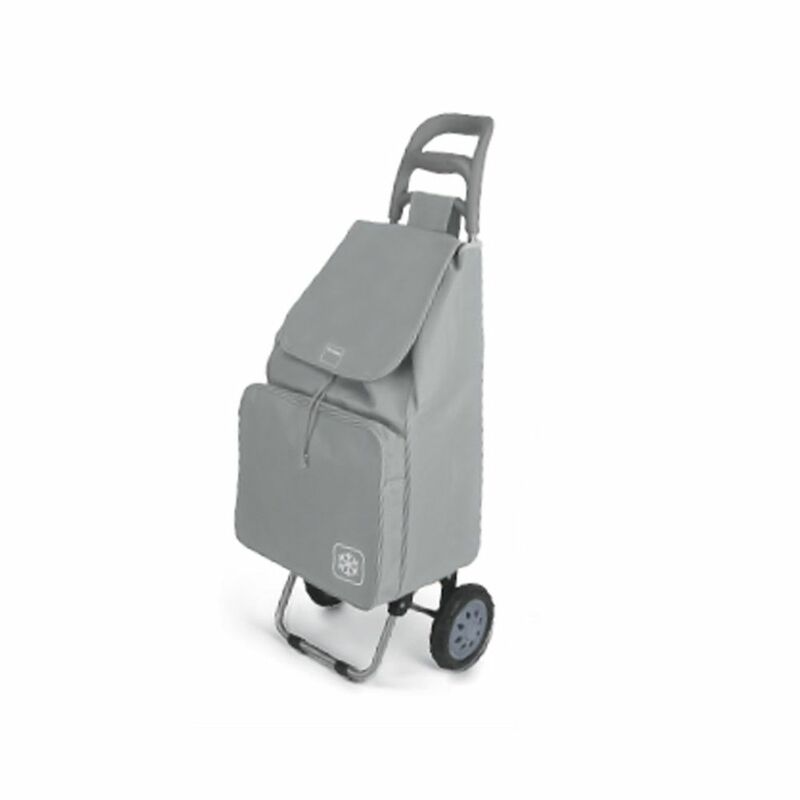 The whole item is easy to assemble and disassemble.Snap-lock wheels for easy installation, no tools required, The carts are built with rugged construction, large pockets and comfortable handles for daily use.Wheels are smooth rolling and quiet.Balance bar and large wheels allow bag cart to sit upright, free up your hands. Assembled Dimensions:18.1in W x 13.7in L x 36.4in H .Collapsible design for easy storage makes this bag cart ideal for small spaces.Perfect foldable cart that balances lightweight capability with durability. Honey-Can-Do CRT-02184 3-Drawer Rolling Fabric Cart. Getting organized has never looked better with this impressive fabric cart. The smooth rolling storage unit has three spacious drawers to hold clothes, tools, or anything else you need tucked away. A soft top surface provides even more storage space, and can double as a night-stand. Two locking wheels keep the cart securely in place as needed, and unlock for easy manoeuvring around the room. Krokus Shopping Trolley With Insulated Portable Bag The stress of going shopping becomes delightful! Especially when things are not carried you're your shoulders Everything you need at your fingertips without effort. Compact forms, lightweight, special support systems and extra pockets are the trump cards of Metaltex shopping trolleys.